Home Miss Tourism Queen International Philippines 2016 NANCY LEONARD is Miss Tourism Queen International Philippines 2016! NANCY LEONARD is Miss Tourism Queen International Philippines 2016! Former Bb. Pilipinas candidate NANCY LEONARD IS MISS TOURISM QUEEN INTERNATIONAL PHILIPPINES 2016! She will be formally introduced to the members of the media for a meet and greet on September 1, 2016. This 25-year-old Zamboanguena is a freelance commercial model and was a former candidate of Bb. Pilipinas 2015 and 2013's Miss Philippines Earth-Air titleholder. She also joined Century Tuna Superbod 2016 last summer. She's been handpicked to represent the Philippines in the 2016 Miss Tourism Queen International pageant in China this coming September. 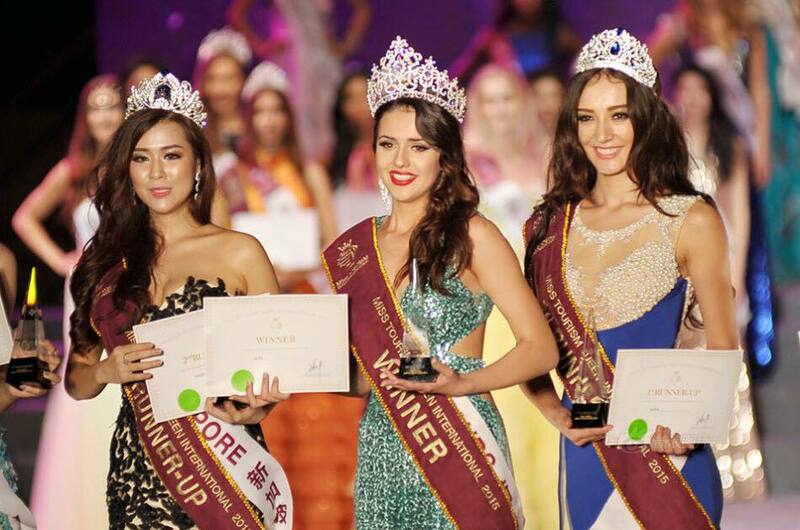 Last year's winners are Nathalie Mogbelzada, Miss Netherlands, Miss Tourism Queen International 2015. Miss Mexico, Fatima Jiminez, was the first runner-up, second runner-up was Miss Singapore, Jojo Tan, third runner-up was Miss Australia, Samantha Mullins, and fourth runner-up was Miss Thailand, Katemolee Rodjanapradit. ALSO READ: China Bans Philippines, Korea and Japan at MISS BIKINI UNIVERSE 2016! The first and last time the Philippines won in Miss Tourism Queen International was in 2006 through Justine Gabionza, who was also Miss Philippines Earth-Air titleholder in 2002. Miss Tourism Queen International was founded by Mr. Charlie See. Since 1949, there have been more than 80 countries occasionally holding this competition for their Miss Tourism National Queen. In 1993, the Miss Tourism Queen International Organization held the first world final competition in Sri Lanka, and later in USA, Russia, Brazil, Germany, Japan, Singapore, and many other countries as well. Miss Tourism Queen International contests has been held in China for six years from 2004 to 2009. With each country's tourism ambassadors gathering together, the Miss Tourism Queen International Contest aims at enhancing the tourism development, the friendship among different countries, and international culture exchange.